Thank you to everyone who came out to celebrations of Indigenous Peoples Day in 2018! 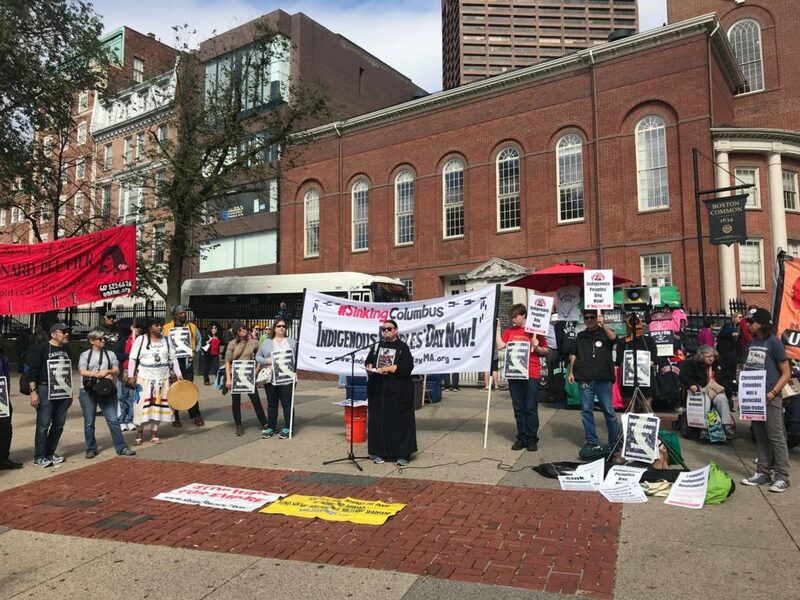 In Boston, over 150 people came together to march for Indigenous Peoples Day in Boston. The march was covered in Workers World and WEBN News. You can see more photos from the gathering and march on Facebook. 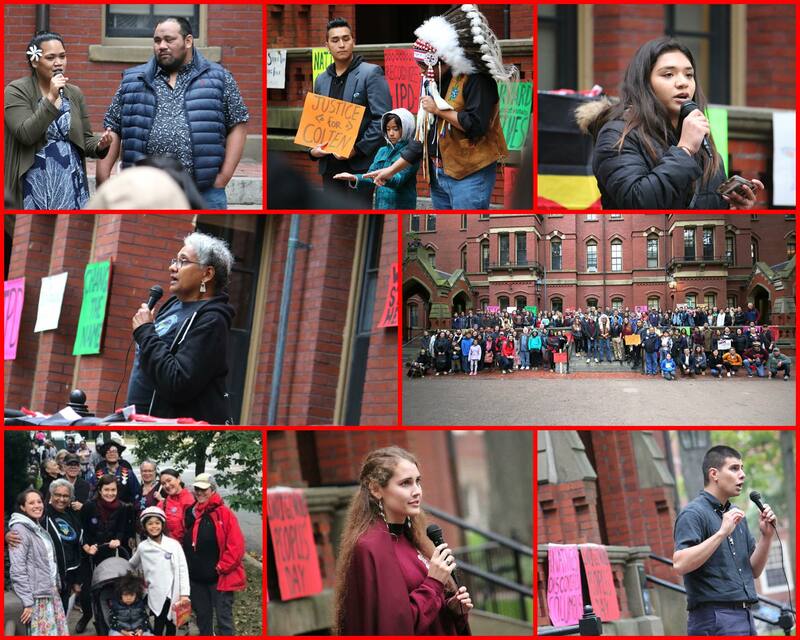 In Cambridge, Frank Waln performed in Harvard Square at the Indigenous Peoples Day Celebration, featuring guest speakers Mahtowin Munro, Raquel Halsey, Danielle DeLuca, and a spoken word performance from artist Hannabah Blue. 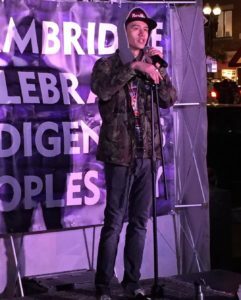 Video clip from Frank Waln’s Concert in Cambridge. Video of Hannabah Blue’s spoken word performance. 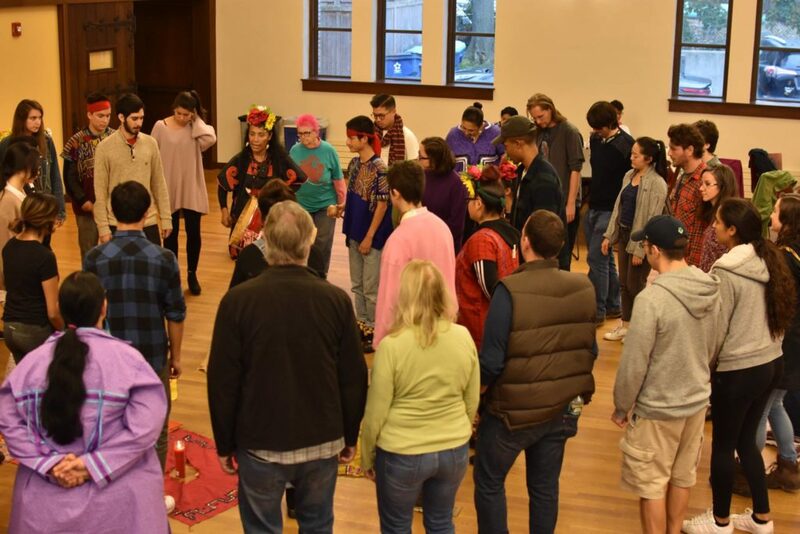 Noah Cominsky, president of Native Americans at Harvard College, wrote a blog post about the work he and the Native Americans at Harvard College Board did to organize Indigenous Peoples Day. More photos from the event courtesy of Kyle Lui.